It’s free to sign up with GoBicycleTouring.com; It’s free to list your company’s bicycle tours on the website; And it’s incredibly low cost to upgrade your account and become a Featured Tour Company. After signing up as a Featured Tour Company, it only costs $97 USD per year – and that includes 12 whole months of advertising on the website, unlimited HOT LEADS, and priceless exposure for your company! There are dozens of benefits to upgrading your account and becoming a Featured Tour company with GoBicycleTouring. This page has been established to explain the difference between the FREE and upgraded FEATURED TOUR COMPANY accounts at GoBicycleTouring.com. Unlimited Free Tour Listings – Each tour listing includes a tour title, map of the tour’s starting location, a detailed tour description, custom tour dates, featured photos* and a whole lot more! 3 Featured Photos Per Tour Listing – Free accounts can upload as many as 3 featured photos per tour listing. Featured tour company accounts can upload as many as 10. World Map Place-Marker – You will also receive an orange place-marker on the GoBicycleTouring world map to represent the starting location of each of your bike tours. This is one of the most popular ways that people search for bike tours on the GoBicycleTouring website. Online & Mobile Friendly Design – We make sure that your tour listings look good and are easy to find on full-screen desktop and laptop computers, tablets, and other small screen mobile devices (such as smartphones and iPods). Guaranteed Listing on Website Homepage – When your tours are first added to the GoBicycleTouring.com website they will be featured on the homepage for a short period of time, giving you a small burst of exposure for your company and your bike tours. Access to High-End Statistical Tools – That allow you to keep track of how popular your bicycle tours are, how many HOT LEADS you have received, and a whole lot more. How-To Marketing Resources – Plus, you will get access to article and video resources that take you by the hand and teach you how to improve your tour listings, get more HOT LEADS, generate more sign-ups for your bicycle tours, and most importantly, how to make more money. Click Here To Sign-Up Now. It's FREE! Everything Included With The FREE Account – When you become a Featured Tour Company, you will get everything included with the FREE account, plus a whole lot more! Your Tours Featured In Our Email Newsletter – Only Featured Tour Companies are mentioned and promoted in our monthly email newsletter, which goes out to thousands of people all around the world who are looking for bike tours to join right now. 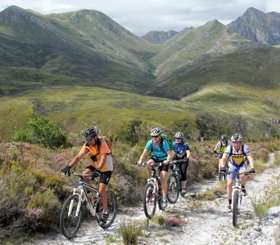 Instant Access To All Hot Leads – Every time you get a HOT LEAD from GoBicycleTouring you will be instantly sent an email notifying you that you have a new person who is interested in participating in one of your bicycle tours. You’ll also have access to every tour you’ve ever received from GoBicycleTouring.com – meaning you can go back days, weeks, months or even years later and market to the HOT LEADS who have expressed interested in participating in your tours. Repeatedly Featured on Homepage – Your tour listings will be repeatedly re-featured on the GoBicycleTouring homepage, meaning you will get a lot more exposure for your company’s bicycle tours. Tagged with a Yellow Featured Flag – Your bike tours will be marked with a yellow “Featured” flag, which makes them stand out among the other bike tour listings on the website. The more you stand out, the greater your chance at getting people to sign up for your tours! 10+ Featured Photos – Each of your tour listings can feature as many as 10 or more featured photos. Featured Company Contact Information – Your company’s contact information becomes easy to find as soon as you upgrade your account. Your contact info is listed on each of your bike tour listings and features your company name, address, phone number and a link back to your website. Videos Allowed In Tour Listings – Embed a YouTube or Vimeo video/commercial into each of your tour listings, allowing you to sell your tour(s) in a unique and powerful way. Regular Social Media Mentions – Your tour listings will be occasionally featured on GoBicycleTouring’s various social media outlets, such as Facebook and Twitter, where thousands of additional people will hear about your company’s bicycle tours. Additional Partner Promotion/Publicity – Your company will have the opportunity to participate in special marketing and publicity opportunities with one or more of our external bicycle touring/travel partners (such as BicycleTouringPro.com). Click here to upgrade your account right now! * It’s FREE to sign up and easy to upgrade your account and become a Featured Tour Company with GoBicycleTouring.com. It only costs $97 USD per year – unlimited tour listings and unlimited HOT LEADS for 12 whole months!